Paneer Taka Tak Recipe – comes from Amritsar-Punjab. 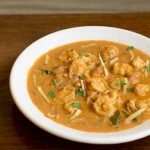 This dish is tangy, spicy, flavorful and goes well with jeera rice or butter naan. 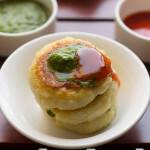 Have tried paneer taka tak many times and my we love this recipe. Paneer has always been my favorite since my childhood and continues to be. I am in love with Punjabi food. Personal favorite is amritsari chole bhature, palak paneer, butter paneer, butter chicken, aloo paratha and aloo tikki chaat…what’s yours?? This recipe is easy to make with basic ingredients easily found in your kitchen. 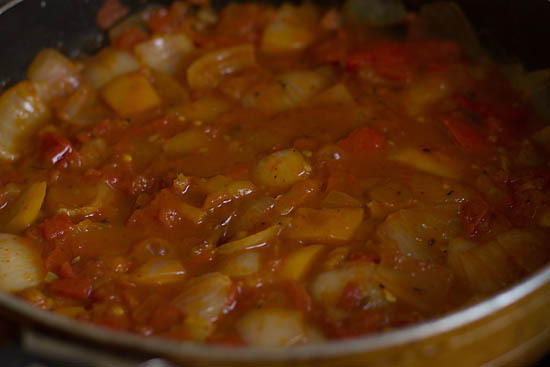 Although the taste is tangy you could also make them more spicy if you wish. This dish could be your kid’s lunch box or meal. 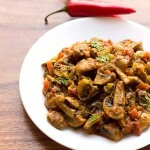 You could make the same dish with mushroom, tofu if you are a vegan. 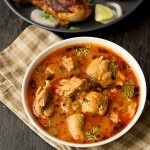 Nonvegetarians could replace paneer with chicken or boneless fish fillet. 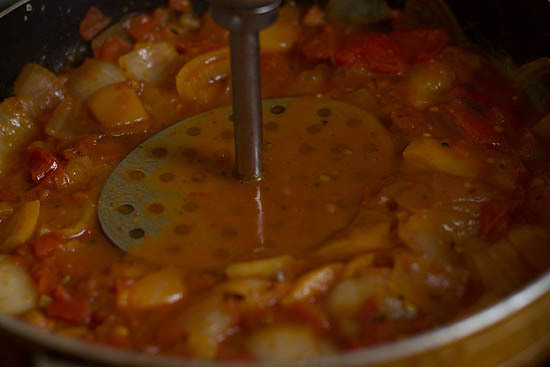 The crunch comes from the onion, capsicum and the tang comes from the tomatoes and amchur powder. Also you would get the hit of spice coming from chilies and chili powder. There are many variations to make this dish. 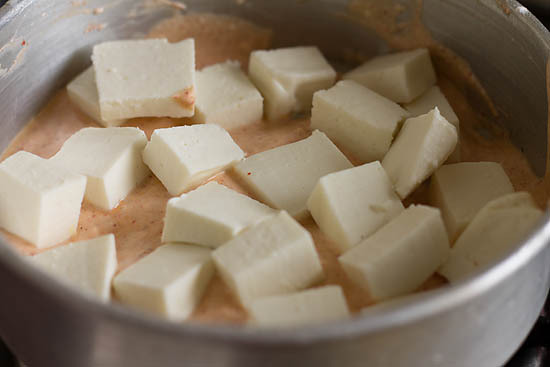 I have chosen to shallow fry or grill the paneer before adding them to the gravy / sauce. You could either use homemade Punjabi garam masala or the store bought ones. 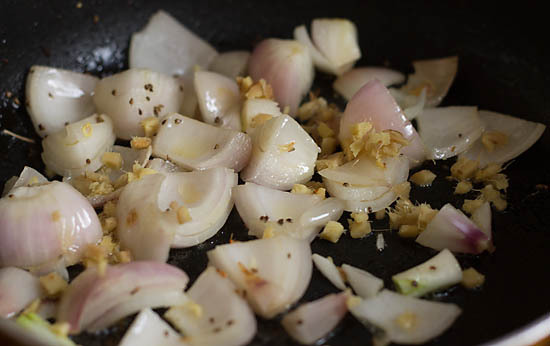 Also ,a dash of pav bhaji masala goes in this recipe. 1. Combine all the ingredients for marination along with yogurt. 2. First give a nice whisk thenadd 1 tsp oil oil and mix again. 3. Add gram flour mix nicely. The mixture should be smooth and lump free. Alternatively, you could beat with a electric beater or beat with the help of spatula or flat spoon.. 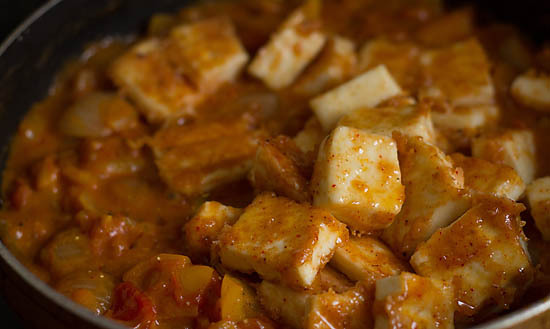 The consistency has to be neither too thick nor thin just enough thick to coat the paneer. 4. 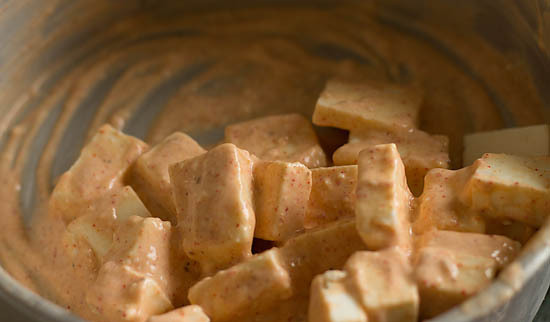 Coat the paneer withe beaten yogurt mixture. 5. 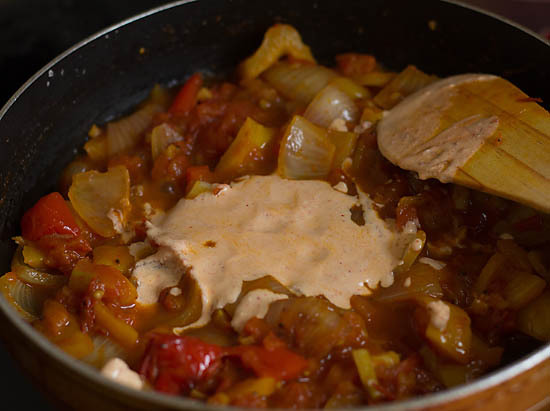 Marinate the paneer for 30 mins in the fridge by covering with a lid or foil. 6. 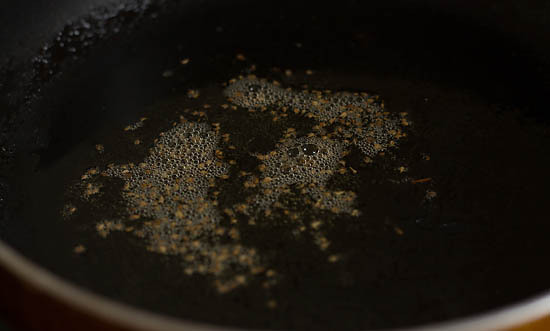 Heat 1.5 tbsp oil in a nonstick pan. Place the marinated cottage cheese slices over the hot oil. 7. Shallow fry over medium heat. 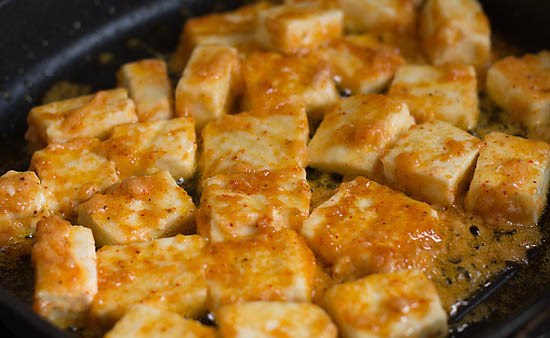 Flip the paneer over the other side and fry until cooked. 8. In the same pan heat rest of oil + butter. Add ajwain. 9. Once they crackle add the onion, ginger and capsicum or bell pepper. 10. Saute them on high heat for 2 mins. 11. 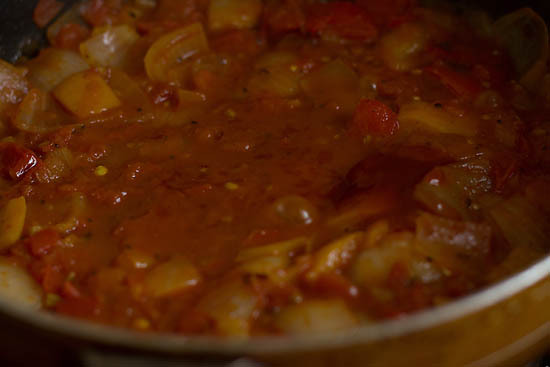 Now add the chopped tomatoes. 12. Add the rest of spice powders and salt. Reserve amchur powder and chat masala to add later. 13. Cover and cook until the tomatoes become tender. 14. Mash them with the help of masher. Also, add tomato ketchup. 15. Cook for 30 secs. Add 1 tbsp water if the mixture dries up. 16. 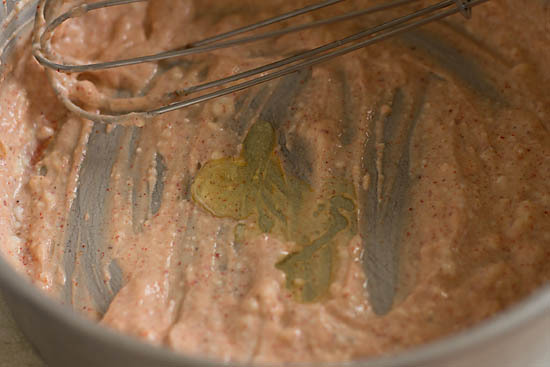 Add the left over marinated mixture now and mix well. 17. Time to add the fried paneer and cook covered for a minute. Switch off the gas and sprinkle amchur powder, chat masala and green chilies. 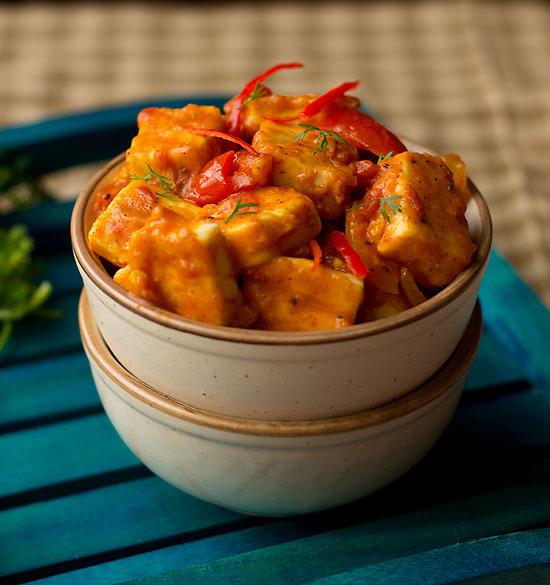 Serve your paneer taka tak hot with roti, rice or naan. 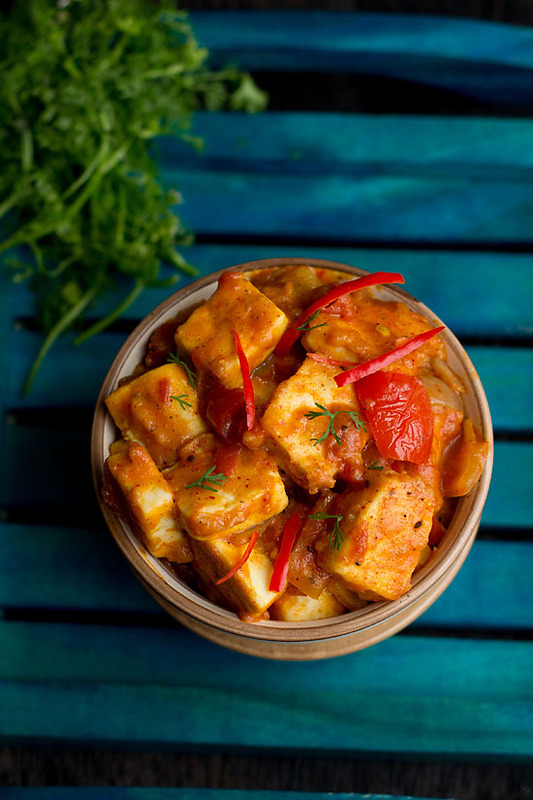 If you are looking for more paneer recipes then do check hariyali paneer, paneer machurian, paneer bhurji, paneer butter masala, paneer 65, paneer biryani, paneer pav bhaji, malai paneer, paneer tikka masala and chili paneer. Paneer Taka Tak Recipe comes from Amritsar-Punjab. Combine all the ingredients for marination. Give a nice whisk add oil and mix again. Add gram flour and combine nicely. 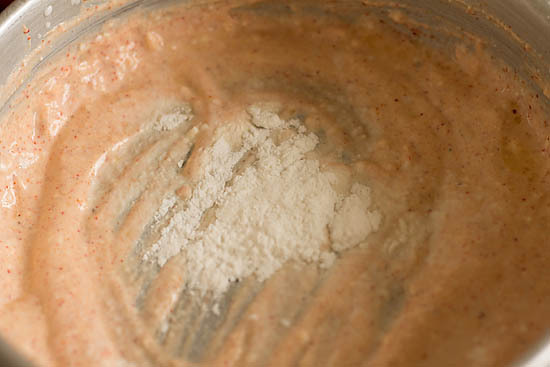 The mixture should be smooth and lump free. Alternatively you could grind into a grinder or manually mix. 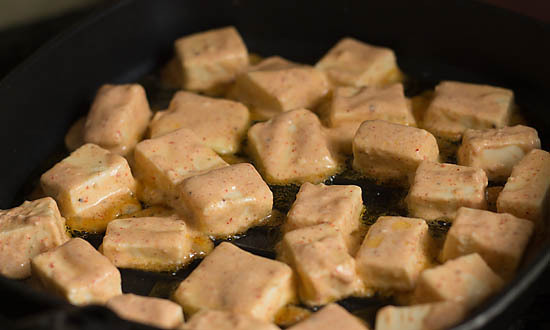 Spread yogurt mixture all over the paneer ensuring it's evenly coated from all sides. 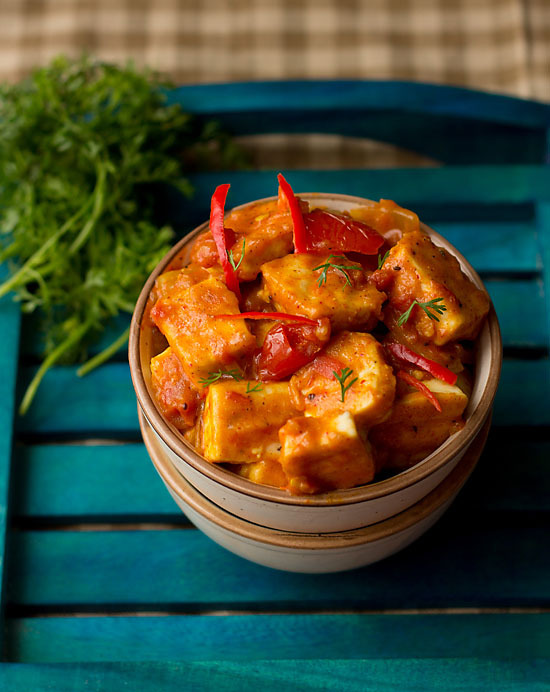 Marinate the paneer for 30 mins in the fridge by covering with a lid or foil. Heat 1.5 tbsp oil in a non stick pan. 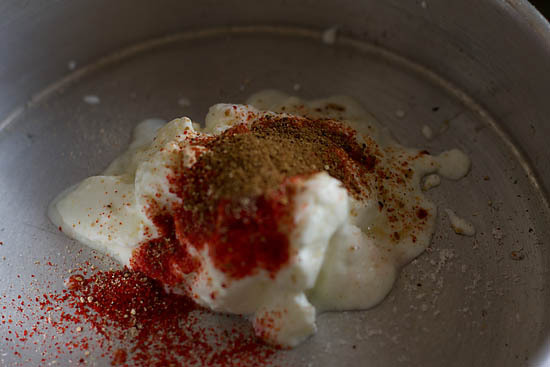 Place marinated cottage cheese slices over the heated oil. Shallow fry over medium heat. Once the yogurt dries up then flip over other side and fry. Remove them from the pan and place aside. In the same pan heat rest of oil + butter. Add ajwain. 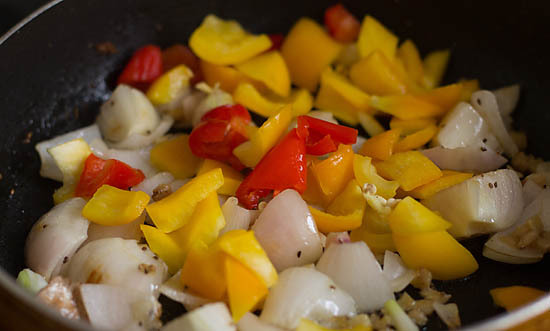 Once they crackle add the onion, ginger and capsicum or bell pepper. Saute them on high heat for 2 mins. 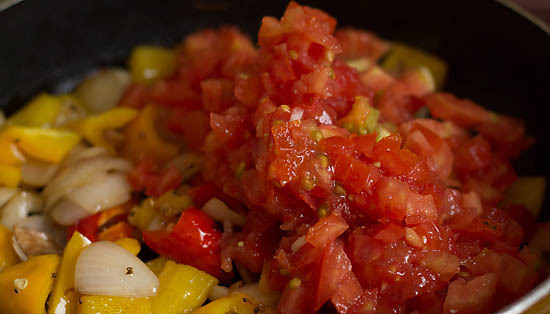 Now add chopped tomatoes. Add the rest of spice powder, salt except amchur powder. Cover and cook until tomatoes become tender. Mash them with the help of masher. Also add tomato ketchup. Cook for 30 secs. Add little water if the mixture dries up. If the marinated mixture remain add them also now. Time to add the fried paneer and cook covered for a minute. You could also crumble the paneer if you wish to at this point of time. Switch off the gas and sprinkle amchur powder, chat masala and green chilies. 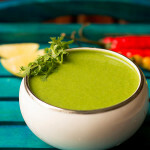 1.If amchur isn't available then use lime juice or chat masala instead. 2.Roasted cumin powder imparts a great flavor. 3.Alter spices and seasoning as per your taste. 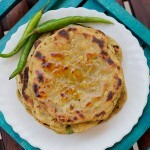 I am finding new recipe of panner! Welcome Dharti, thanks for positive views. Let me know once you try paneer taka tak recipe, thanks. Love the name and the color. Paneer taka tak look so delicious. Thankyou Shilpi 🙂 for your positive views.